Gnostic religion is the expression of a religious worldview which is dominated by the concept of Gnosis, an esoteric knowledge of God and the human being which grants salvation to those who possess it. Roelof van den Broek presents here a fresh approach to the gnostic current of Late Antiquity within its historical and religious context, based on sources in Greek, Latin and Coptic, including discussions of the individual works of preserved gnostic literature. Van den Broek explores the various gnostic interpretations of the Christian faith that were current in the second and third centuries, whilst showing that despite its influence on early Christianity, gnostic religion was not a typically Christian phenomenon. 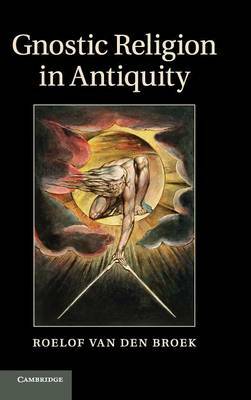 This book will be of interest to theologians, historians of religion, students and scholars of the history of Late Antiquity and early Christianity, as well as specialists in ancient gnostic and hermetic traditions.